This Cheesy Ground Beef and Pasta Casserole has been the star of so many gatherings it’s earned the nickname Company Casserole. Want to know the best part about having a baby? Casseroles. Okay, okay maybe that’s not the best part. There are snuggles and baby smiles and belly raspberries and soft, tickly hair on your chin. But besides all that stuff, it’s totally the casseroles. After the little Mr. was born, friends and family flooded our home with food. For the first few weeks our counters were filled with crock pots and casserole dishes, tupperware and ziplock bags filled with cookies. Despite my love for cooking, it was the last thing on my mind in those early days. Were it not for the generosity of our friends, we would’ve spent most nights scarfing down a bowl of soggy cereal or eating peanut butter straight from the jar. 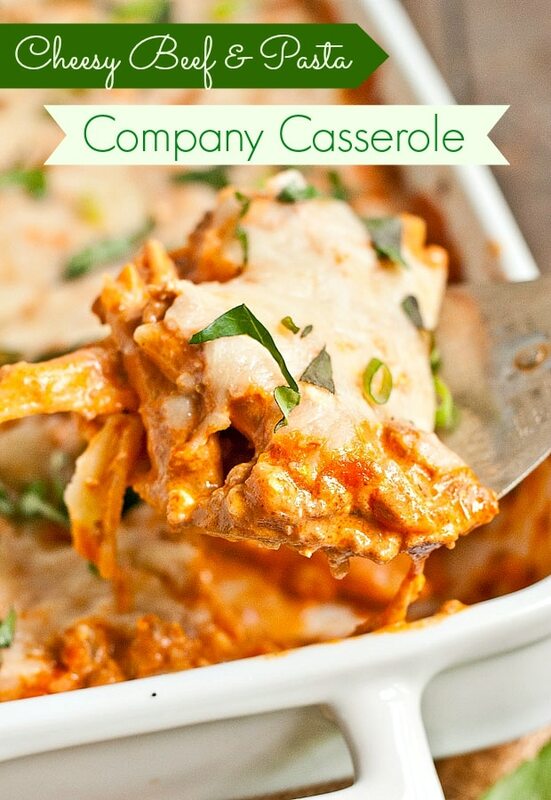 Casseroles are my love language. I love to give them and receive them. Nothing says “I care about you” quite like a giant casserole dish and a blanket of cheese. 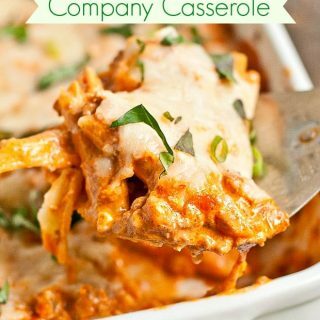 I’ve loved a lot of cheesy casseroles over the years (looking at you Tater Tot Casserole), but this Company Casserole might be my favorite. I discovered this easy recipe in college while leafing through a church cookbook. I was desperate to eat something other than grilled cheese for dinner, and this seemed easy enough for even a novice cook to handle. I had no idea my minimal efforts would reward me with such goodness. Ground beef and pasta is swimming in a creamy tomato sauce and smothered in melty cheese. It’s the kind of satisfying, hearty, comfort food meal that makes you feel loved from the belly out. While this is far, far from health food, you can definitely sneak some veggies in there to your liking. We love it with mushrooms, onions, and green pepper, but you can omit them or add extras if you’d like. This makes a whole lot, so freeze half of it or share it with a new mom. She’ll be more than happy to take it off her hands. This cheesy tomato and ground beef pasta dish is hearty and comforting...perfect for sharing with a crowd! Cook the pasta according to package directions, leaving it more on the al dente side since it will continue to cook a bit in the oven. Return the pasta to the pot and stir in sour cream. Set aside. In a large skillet, fry the ground beef with the onions, peppers, and mushrooms until no pink remains. Drain off any excess grease. Stir in the cream cheese, cottage cheese, and spaghetti sauce. 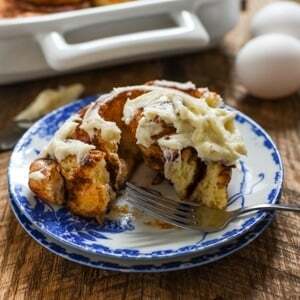 Bring to a simmer and cook, stirring often, until cream cheese is melted and mixture is heated through. Season to taste with salt and pepper. Place the noodles in a greased 9 x 13 inch pan. Top with ground beef mixture. Sprinkle with mozzarella cheese. 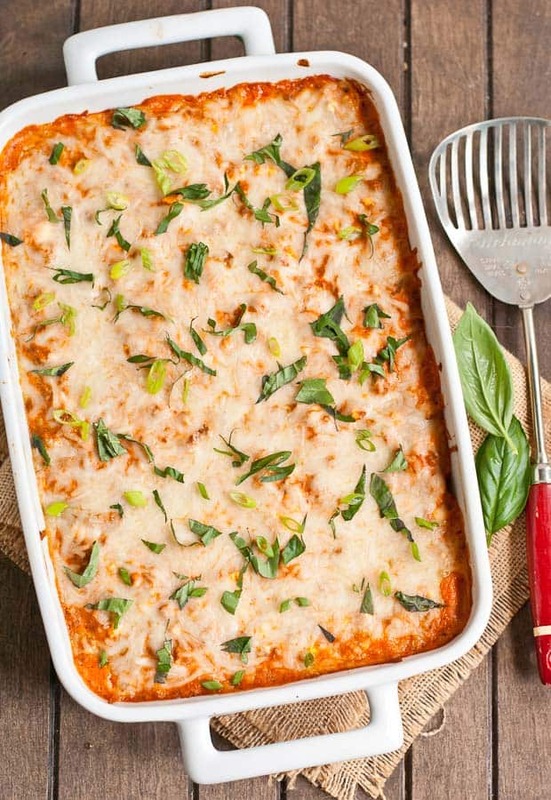 At this point, you can put a lid on the casserole and freeze or refrigerate until ready to bake. Otherwise, place the casserole in the preheated oven and bake for 20-25 minutes or until cheese is melted and edges are bubbling. If you're baking from the fridge, place the casserole dish in the oven while it preheats and increase the baking time to 35-40 minutes. 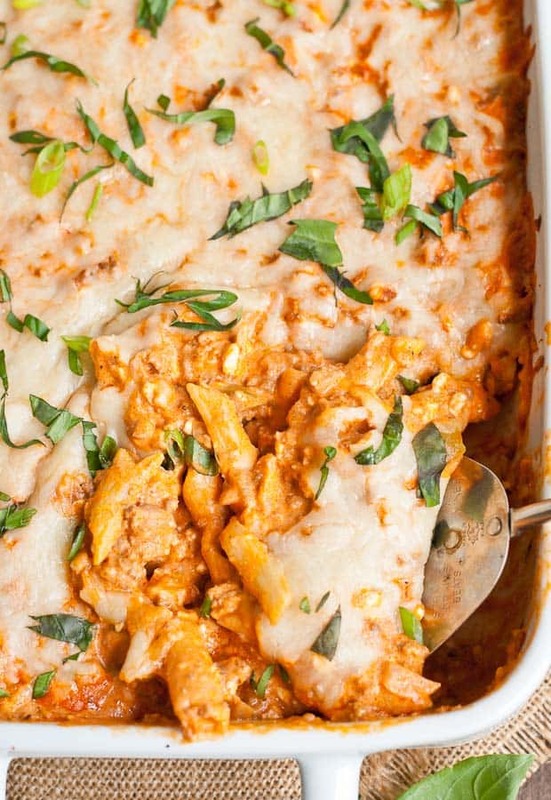 Being of Italian decent this is very much like the Baked Ziti I grew up with and one of my favorite dishes to make to feed a crowd, like when all the kids and their families descend at the holidays (we have 35 people for a week then). I make it ahead of time and freeze it. Thaw, bake, add some garlic rolls and toss a salad. Hello! 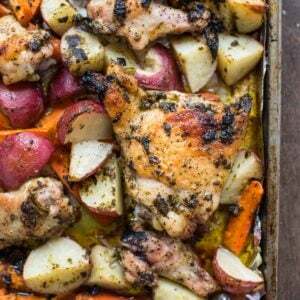 Yes, you can go straight from the freezer to the oven (though if you’re using a glass pan, make sure to put it in while the oven is preheating so it can warm slowly–foil pans are even better for freezing). I recommend reheating for about 1 hour covered, then uncover and bake another 15 minutes so the cheese can get nice and brown. Good luck!